Hundreds of thousands of Egyptians have flooded Tahrir Square to protest the ruling military council’s decision to grant itself legislative power. The latest developments in the country raise fears of a showdown between Islamists and the military. 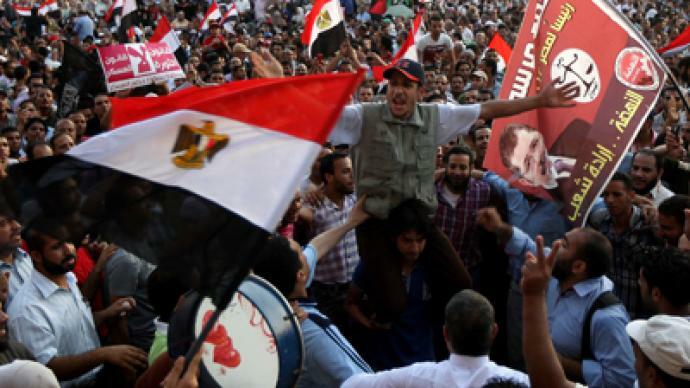 ­Tahrir Square is swarming with supporters of Mohammed Morsi, the Muslim Brotherhood’s presidential candidate. The demonstrators say the Supreme Council of the Armed Forces (SCAF) has effectively orchestrated a coup by granting itself legislative power in place of the Islamist-dominated Parliament, which was dissolved by the country’s Supreme Constitutional Court. The SCAF is also blamed for giving itself the power to appoint the members of a panel to carve up a new constitution, as well as veto rights over the constitution itself. The slogans and banners carried by protesters reflect the anti-military sentiment of the crowd on Tahrir Square. “The law of the revolution, not the military law,” was a common slogan. The protesters also accused authorities of being too lenient towards former President Mubarak, RT’s Paula Slier reports. The Muslim Brotherhood, as well as other Islamists, has insisted that the life sentence Mubarak received on June 2 is not enough to punish the former leader for his bloody crackdown on protesters and the opposition. In the meantime Mubarak’s health significantly worsened, and there were reports that he suffered a stroke and that his heart stopped beating earlier Tuesday. The former leader was later moved to a military hospital, where he was proclaimed clinically dead. However, security sources now suggest Mubarak is unconscious and on a respirator, Reuters reports. The country is also eagerly awaiting results of its first presidential election since the downfall of President Mubarak last year. 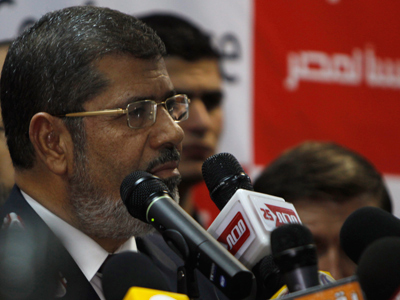 Both Mohammed Morsi and Ahmed Shafiq, a former Mubarak loyalist, have claimed victory. 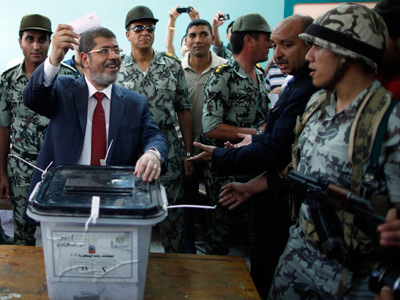 Morsi was the first to do so, saying he had won 52 per cent of the vote and was planning to take the presidential oath on Friday. On Tuesday, Shafiq’s campaign announced that Egypt’s former prime minister was to become the country’s next president and said Morsi’s claims were false. 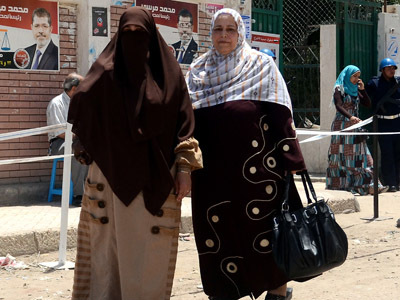 Tensions between the SCAF, which has been the country’s supreme executive organ since the downfall of Mubarak, and Islamists have been getting worse in the run-up to the second round of the country’s presidential poll. Last week the country’s Supreme Constitutional Court, with many judges appointed by the ousted regime, invalidated the results of the legislative elections that were held in the December-February period and ordered the Parliament to dissolve. The legislative body has been dominated by the Islamists, most notably the Muslim Brotherhood’s Freedom and Justice Party, as well as the ultraconservative Salafist Al-Noura party. This decision was derided by Islamists, who contended that the military council and the Supreme Constitutional Court were trying to cement their position in power even after the July 1 deadline, after which SCAF is set to relinquish its powers in favor of the president, according to a provisional Constitutional Declaration issued last year. The situation worsened on Sunday, when the SCAF issued an addendum to that declaration. The new clauses granted the legislative powers previously vested with Parliament to the military council. It also effectively gave the SCAF supreme powers in writing the country’s new constitution by allowing the council to appoint members of an ad-hoc panel, and veto parts of the constitution it finds unacceptable. The provisions also expanded the SCAF’s clout over the budget and raised fears that the president would effectively be a figurehead head of state, with real powers still held by the military council and its leader, Marshal Mohamed Hussein Tantawi, even after July 1. The latest developments paint a somewhat grim picture of the weeks and months to come, with chances of a violent showdown between the military council and the Islamists growing by the hour. 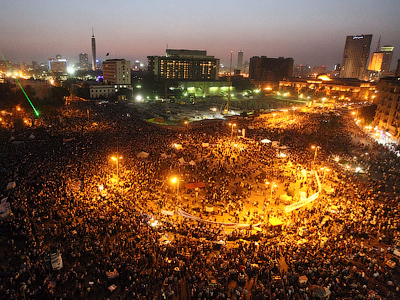 ­Journalist and social activist May Kamel noted that while several different political groups have taken to Tahrir Square in the past, now it has become scene to massive protests organized almost exclusively by Islamists. “The fight that’s taking place right now is mostly between the Muslim Brotherhood and the army,” she told RT. She said the SCAF’s latest action gave no reason to believe that it would voluntarily relinquish power come July. This could only mean that the conflict between the two sides would continue to escalate. Kamel also stressed that the forces of the revolution have largely been left out of this battle. “The battle between the Muslim Brotherhood and SCAF is in the framework of the old regime,” she remarked. Freelance journalist Bel Trew said the crowd gathered in Tahrir Square marked Mubarak’s reported clinical death with fireworks and jubilant celebrations. She noted that while the possibility of his death would be a joyful moment for the protesters, it would not resolve the issues they have with the ruling military council. “At the moment the people are really angry with the military council for a document they released talking about the constitution, and also the mandate of the president, which also is seen as taking power away from the president,” she noted.